Late last year, I was very fortunate to be allowed to peruse some of William Pitt's artefacts and papers which are held at the archive room of Pembroke College, Cambridge. 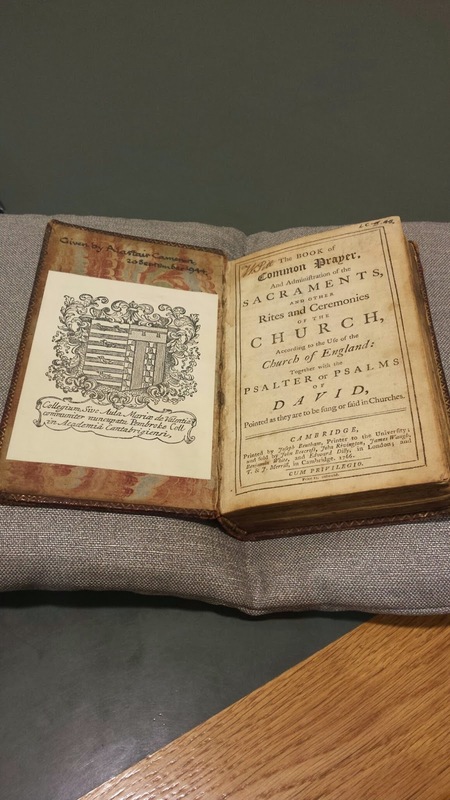 One of these fascinating little gems is Pitt's personal copy of The Book of Common Prayer. It is difficult to determine whether this was William Pitt's copy from his childhood, or whether he obtained it when he first entered Pembroke College in the autumn of 1773. 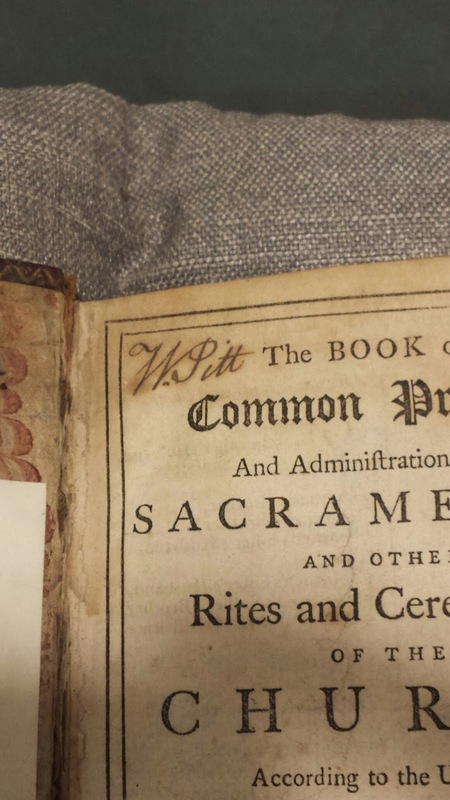 Judging from the text on the inside of the book, it was published at Cambridge in 1766 - when Pitt would have only been 7 years old, and his signature is located at the top left-hand corner of the first inside page. The provenance for how Pitt's prayer book came to be at Pembroke College Archives was through a man named Alastair Cameron, who bequeathed it to Pitt's old alma mater on 20 September 1944. That information is written on the front inside cover of the book. It isn't known where the book was kept in the intervening years between the time of Pitt's ownership until the time it reached Mr. Cameron's hands, but it is fortunate that such an artefact is still preserved. 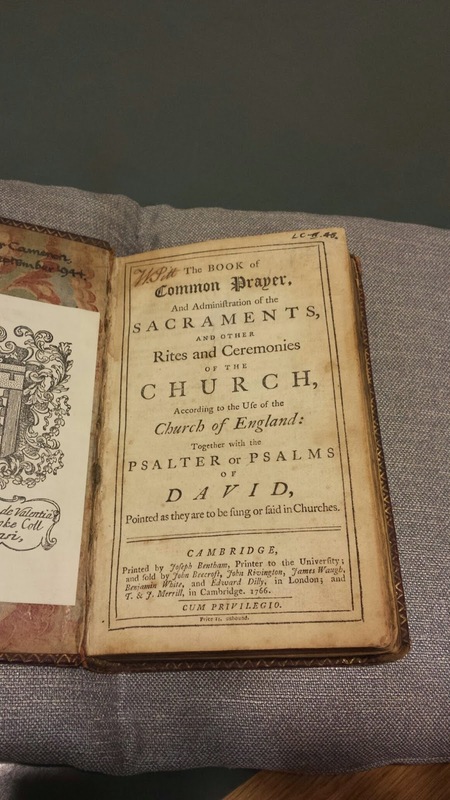 I note that all images of Pitt's copy of The Book of Common Prayer are reproduced here by the kind permission of the Master and Fellows of Pembroke College, Cambridge.